Mitel is a global provider of enterprise communication solutions, from VoIP connected devices to traditional business phones, accessories, unified communications software and more. Mitel offers several innovations including robust collaboration software, Voice over WiFI calling options and competitive private, hybrid and public cloud computing platforms. 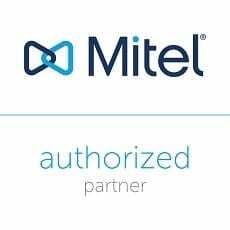 c2mtech became an authorized Mitel reseller in 2016. RingCentral is a highly rated, 100% cloud communications platform. 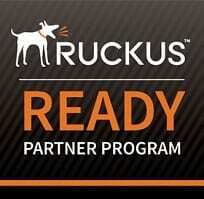 As an authorized partner, c2mtech is excited to offer this option to customers throughout Texas. As a Unified Communications platform, your phone can make calls, video/audio conference, screen-share and send text messages. c2mtech is a platinum partner with Samsung and is the largest dealer in Texas allowing for quantity discounts and expert service. c2mtech features Samsung’s full line of VoIP servers, IP phones and digital phones. Learn more about Samsung systems and run the latest in telephony. ESI phone systems have been well recognized by telecommunications industry leaders, awarded for multiple innovations in the ESI product line of telephone systems and peripherals. The ESI telephone system comes complete with an extremely user-friendly interface and high quality customer service regardless of purchase origin. Rukus offers a comprehensive wired and wireless portfolio of access points, switches and controls to manage and deploy networks when needed. Create an enterprise secure WLAN, offer reliable Wi-Fi at a conference or offer a secondary network for mobility in the office. c2mtech is now a Crestron partner and offers this innovative solution to businesses looking to upgrade conference rooms, presentation halls, lobbies, classrooms and more. For new construction or retrofits, make your meeting room a “smart” environment with wireless control of A/V, lighting, and thermostats. Cambridge Sound Management is globally recognized for quiet ambient technology. Sound masking limits audible distractions, improves productivity and maintains privacy at the workplace. c2mtech is an authorized dealer of Cambridge and DynaSourcePro products at all of our locations. Our team is further certified as masking experts and are trained to design and install warrantied sound masking systems. Hubbel is an internationally recognized cabling and electronics manufacturer. Hubbel offers quality cabling components (jacks, fiber optic, data connectors, adapters, and more) and is a low cost alternative to Commscope solutions. 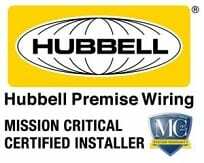 c2mtech is a Hubbel premise wiring installation partner, earning steep discounts on all cabling products and is able to sell Hubbel solutions with a 25 year guarantee on the components, performance and installation integrity of systems. c2mtech designs complete cabling, phone and WI-FI upgrade for Holy Trinity Catholic School in Texas.